* There is no refund, but you can sell your ticket if you are unable to attend or use it for Certification at a future date. Contact Host if a transfer or delay is needed. At the completion of this two-day training and 6-week practicum you will receive a Certificate of Completion. This Certificate will allow you to charge for your services helping to assist clients in identifying and reprogramming Generational incorrect perceptions that are contributing to discomfort and disharmony in their mental, emotional and physical wellbeing. 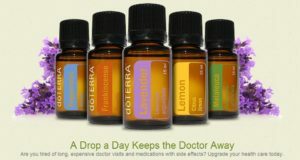 You will be able to assist your clients and family in the use of Essential Oils to get to the root of their issues. What G.E.M. Therapy is and how it came to be. What Body Testing is and how to use and teach it. Understand what the Renewal Process is. Learn the steps of the G.E.M. Protocol. How to make follow-up specialized Essential Oil Blends. 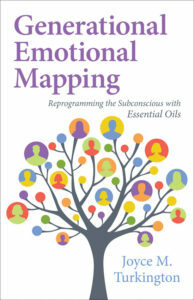 Understand the information on the individual and blend oils in the book. You will be taught different ways you can utilize the G.E.M. Manual. You will have access to ongoing support through Facebook and Zoom calls. You be required to provide 4 case studies within 6 weeks of class to receive your certificate of completion. Joyce Turkington, owner of K-Bay Wellness Center has been a Wellness Coach Homer since 1998. Joyce is the author and creator of G.E.M. Therapy. She has been using and teaching this protocol for the past 16 years. Room Reservations @ the Hyatt Place. Once you register you will be provided an email with your options for the Box lunch that will be provided, choice of 2 sandwiches, a salad, or veggie wrap.